We open at 7am on Sunday March 17th for St Patrick’s Day! We’re more than a local bar and grill. 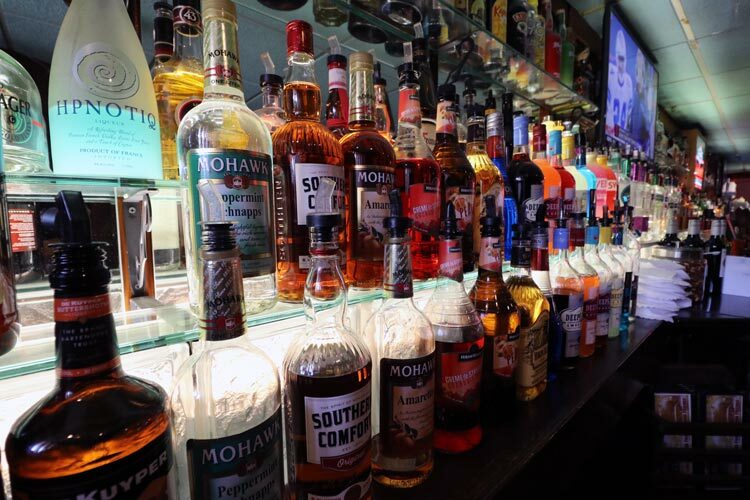 Our walls are steeped with history and have stood since the turn of the 20th century, Prohibition, and the modern age. In a time when so many of us are glued to our phones, we invite you to indulge in an evening out with friends and good food. 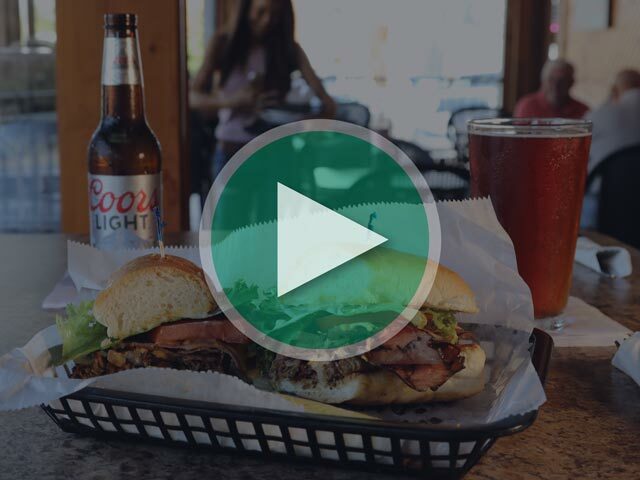 Grab a burger (and a drink) while you enjoy our casual bar atmosphere. We’re proud to be a part of Lansing history. Our building was originally someone’s home, but was later converted into a pharmacy. Once Prohibition was repealed, the pharmacy gave way to a bar and fruit market. While the fruit market is gone, locals have still gathered at the site for over 50 years. Today, the only fruit we offer are the lemon wedges in your glass. 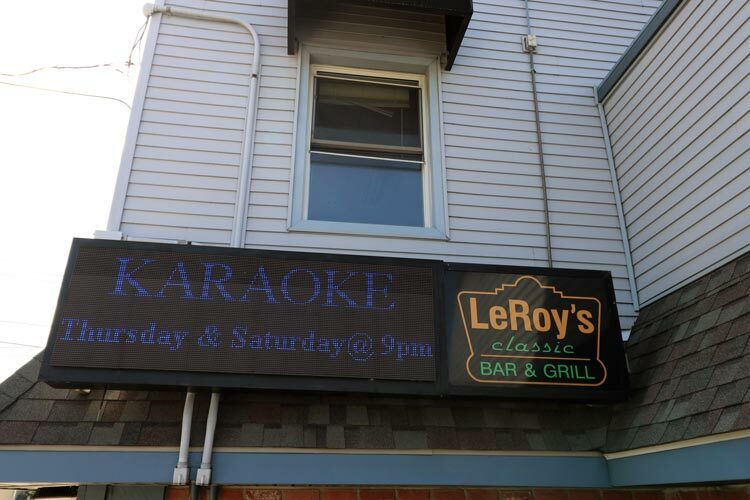 Leroy’s Backyard is a patio that is open and usable year-round to the public! Sit down, and relax with your friends and family, catch the breeze during the summer months or enjoy the heated patio during the winter as you enjoy something from our tasty menu. If you planning an upcoming event or special occasion, our Backyard patio can also be rented or reserved for celebrations and get-togethers! LeRoy and Jeane Ann bought the bar in 1991 after recognizing its potential. 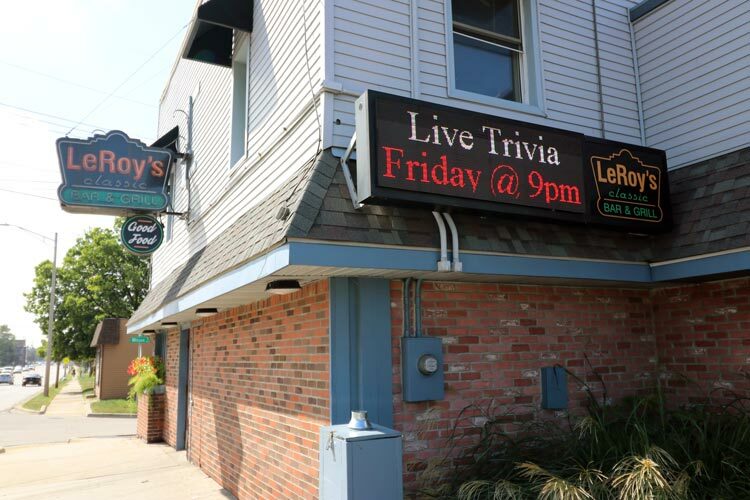 In 2006, after making several improvements, they invested in a major expansion for LeRoy’s Classic Bar & Grill. Today, we have dart and pool leagues to keep you entertained and coming back. We also have The Backyard, a private room you can reserve that seats 60. 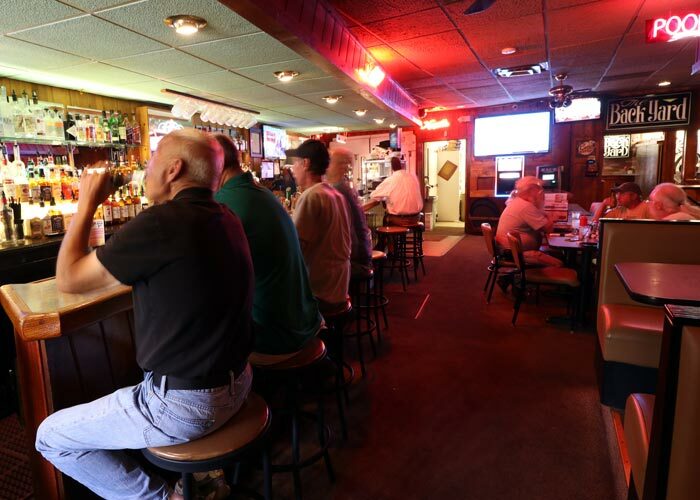 Our restaurant bar and grill has been a neighborhood favorite for years. Both night owls and early birds can appreciate our hours. 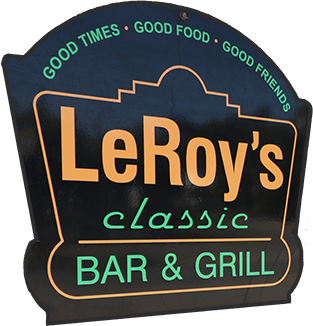 LeRoy’s Classic Bar & Grill is the perfect place to grab a meal after your third shift or hang out till closing time with your friends. Either way, we appreciate your business. Full menu is served during all hours that we are open! Two patties, ketchup, mustard, pickle, onion &cheese. The food is some of the best in Lansing! Nice service also. One of my all time favorite spots. Pauly and the staff are great, and the food and drinks are amazing. It’s a good place for our Pool league on Wednesday nights. Burgers are the best. The best double cheese burger I have ever eaten! There will be many more gobbled by me!! I have always had a good time – cute little spot and lots of entertainment options! Prices are good as well and so was the food!